We've known for a while now that, eventually, Apple is looking to turn its Watch into a more robust health device Apple. It recently announced that it's working on an atrial fibrillation study, and it seems that Apple is working on something even grander on the health tracking front. The company is developing an Apple Watch with a built-in electrocardiogram (EKG) heart monitor according to a new report from Bloomberg. Unlike the heart rate monitor currently featured on the Apple Watch, EKG is used by the medical industry and found inside chest-based heart rate monitor straps. EKG is also able to help identify abnormal heart rhythms like atrial fibrillation, which can make it easier to spot potential cardiac problems before they become really severe. On the Apple Watch, the EKG monitor would be activated by squeezing the Watch's frame with two fingers. The Watch would then send a current to the wearer's heart and check for any abnormalities, sources told Bloomberg. 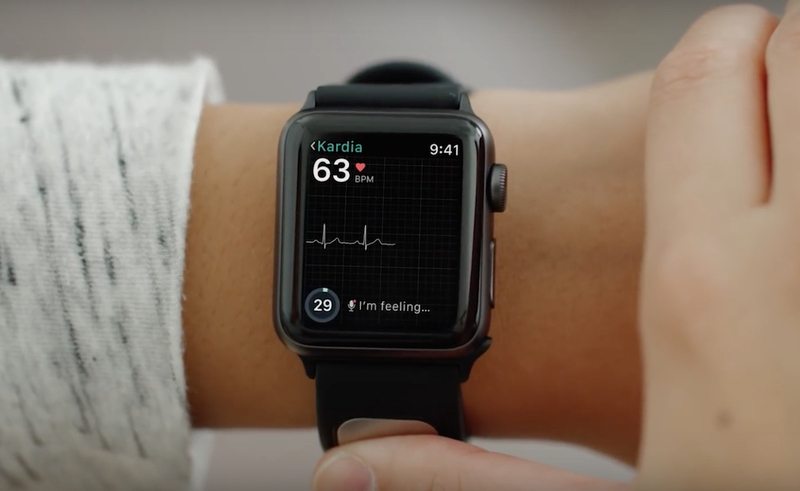 Apple Watch users can get EKG readings now, but only by purchasing AliveCor's KardiaBand accessory. That band works similarly, requiring the wearer to activate the band via an app on the Watch, then placing their finger on a sensor on the band. After 30 seconds, the user then gets an EKG reading right on their Watch. The KardiaBand is the first Apple Watch accessory to gain FDA clearance, and an Apple Watch with a built-in EKG monitor would also require FDA clearance. The FDA approval process is often lengthy, and not exactly friendly for big companies trying to sell mass market wearables, like Apple. However, Apple has established a relationship with the FDA, consulting on its atrial fibrillation study. The FDA also has a new rule that will let Apple, as well as companies like Samsung and Fitbit, to fast track health breakthroughs and potentially offer more advanced sensors on wearables quicker. Of course, sources tell Bloomberg that the EKG monitor is still in development, so the question is whether we can expect to see this in Apple Watch Series 4 or maybe another Watch further down the line. Our money is on sooner rather than later.